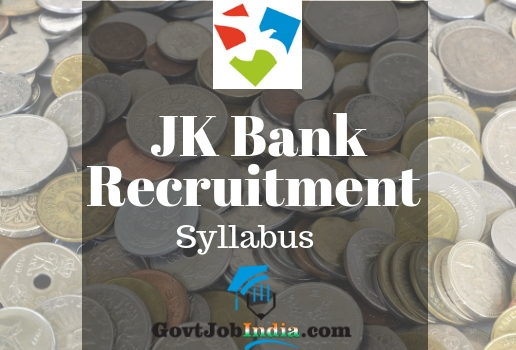 JK Bank Syllabus 2018 PDF Download– Candidates who are looking for the Jammu Kashmir Bank Syllabus for the post of Banking Associate and Probationary Officer are hence notified that the JK Bank PO Exam Pattern and Study Material are given on this page. This will be along with the Syllabus for J&K Bank for Banking Associate. All those candidates who wish to download the JK Bank PO syllabus PDF are duly informed that we @ GovtJobIndia.com have given out the main PDF according to the official site which is www.jkbank.com. You can download these PDFs according to the post you are applying for which is either Banking Associate or Probationary Officer. Furthermore, we have given this information according to the various subjects which you will need to prepare for the JK Bank banking Associate and PO Recruitment Exam. The written exam will be divided into 2 parts, namely- Preliminary Exam and Mains exam. So, we would suggest that candidates start preparing for the exam right from the start. The article is divided into 2 parts which are the syllabus of the JK bank Associate Study Material and the JK bank PO Portion. These two sections are further divided into Exam Pattern and Syllabus. We have also covered the exam pattern of the JK bank PO main Exam as well as the JK Bank Recruitment Banking Associate Preliminary Exam. So, without further waste of time, let us move onto the recruitment details of the JK Banking Associate Vacancy, after which we shall proceed to the syllabus and exam pattern of both the posts. Total no. of questions – 100. Total test period – 1 hour. Hope you liked this article about the JK Bank PO syllabus and J&K Bank Banking Associate Exam Pattern 2018. If you did, make sure to share it with all those who might be in need of this informative article. Furthermore, make sure to comment down below if you have any doubts related to the same. We will be here to clear it out. 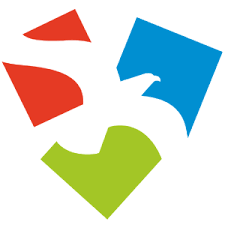 If you like our website which is @ GovtJobIndia.com, then make sure to subscribe to it by entering your email address and you will be notified whenever we post new articles.